This Antique Watling model was made during the Great Depression. During this time period gambling laws were changing and this model was created to act more like a candy vender. Upon inserting a coin with every pull of the handle you would receive 1 roll of Confectionary mints. 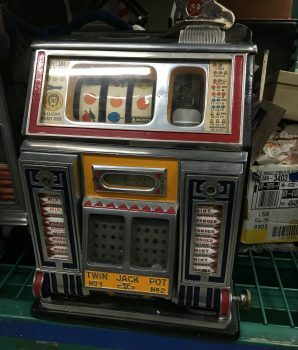 You would be actually receiving a roll of mints as you gamble. 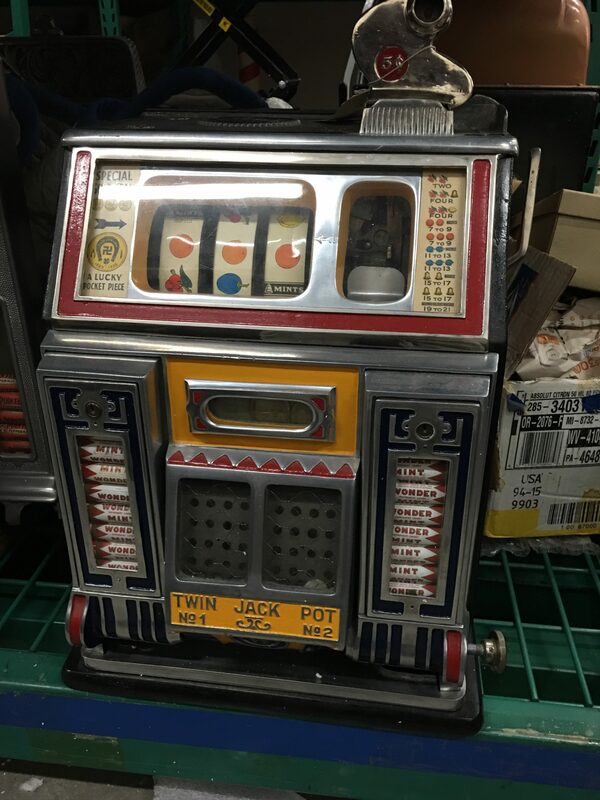 The machines pays and plays and in good working condition. Dimensions: 24″ x 16″ x16″.